Many exciting things happened at the Bionic Group over the course of 2013, but one development is clearly standing out: the development of the Bionic µsoil production system. I have written here before about the Bio-EliteTM organic fertilizer licensed by Bionic Lab in Germany. Now Bionic has made the already excellent product even greater by integrating the Bionic µchar product directly into the Bio-Elite production process. 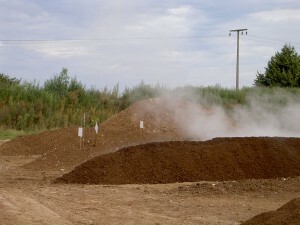 The result is a soil improvement product of a fundamentally new quality. Not only an organic replacement for standard synthetic fertilizers, not only a supply for all required micro nutrients, but also a long term activator of healthy top soil development maintaining sufficient levels of carbon for a more natural plant growth. Thus, Bionic has created a contemporary descendant of the supposedly mysterious Terra Preta soil discovered by archaeologists in the Amazon region of Brazil. While the bionicfuel process delivers a bio-char product with outstanding capabilities, this product is completely sterilized during production. Such a microwave sterilization effectively eliminates any danger of infecting one’s soil with pathogenic micro-organisms. However, it also takes a lot of time afterwards for the µchar to be naturally settled by healthy microbes. Bionic’s new process effectively accelerates such a natural soil fertilization by processing the µchar with the most effective micro organisms available. Subsequently the highly effective Bio-Elite organic fermentation process integrates the top soil forming char properties with the highly effective plant nutrition capabilities of an advanced organic fertilizer production systems. The result is Bionic µsoil. It takes just 50 days in one of the Bionic licensed fertilizer plants to process the final product beginning to end. A process that would take nature many years to complete unassisted. Over the recent months Bionic has developed a business model for a franchise system concentrated on the production of its new fully organic soil enhancer. Franchise partners will typically operate their own plant and take care of the acquisition of the raw materials waste biomass and animal manure. Initial interest is specifically high from large commercial scale animal husbandry operations like poultry and pig farms. All product not used internally in the franchise partner’s own farming operation will be marketed via a joint whole sale sale platform addressing garden centers, hardware stores and municipal gardening departments. An online platform will also be established as an additional sales channel for direct orders by individual commercial and private customers. In December 2013 a German State Government has taken a preliminary decision to substantially support Bionic’s initial reference plant under an economic development program. Constructed during 2014 in collaboration with Bionic’s prime manufacturer SMERAL as from Brno in the Czech Republic, the plant will later serve for R&D, training and demonstrations within the franchise system. 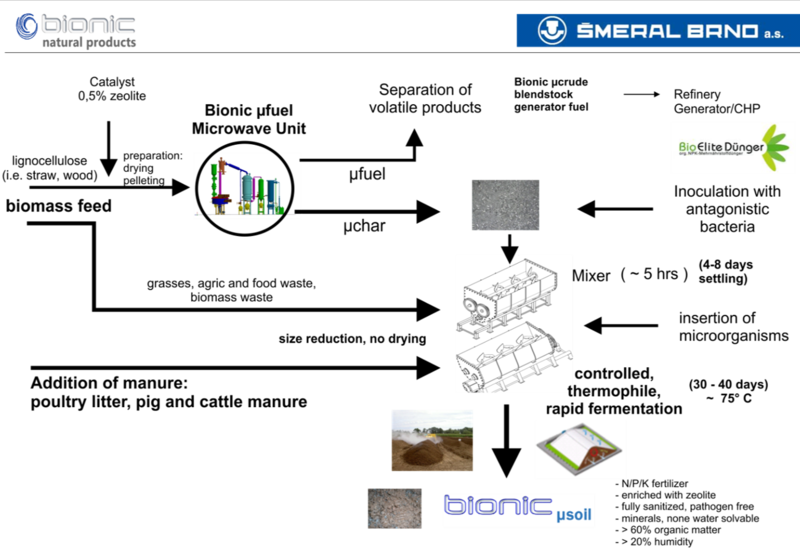 The advantages of the Bionic µsoil system are many. 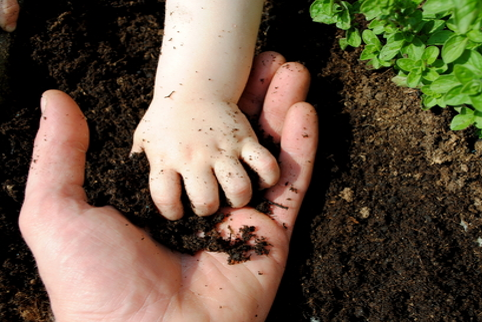 It is not only a new organic fertilizer of outstanding quality which is completely carbon neutral. It is also a solution to the serious manure problems of animal mass husbandry, the long underestimated health hazards of common biogas plants deriving from dangerously infested residues and the proper disposal of food waste. All these categories of waste become constantly more and more regulated which has heavily increased cost for the affected businesses. Bionic is now effectively offering a way to reverse this development by eliminating the high cost by converting the issue into a profitable business option for new SME businesses.